Spills happen. Soak them up with C-sponge. 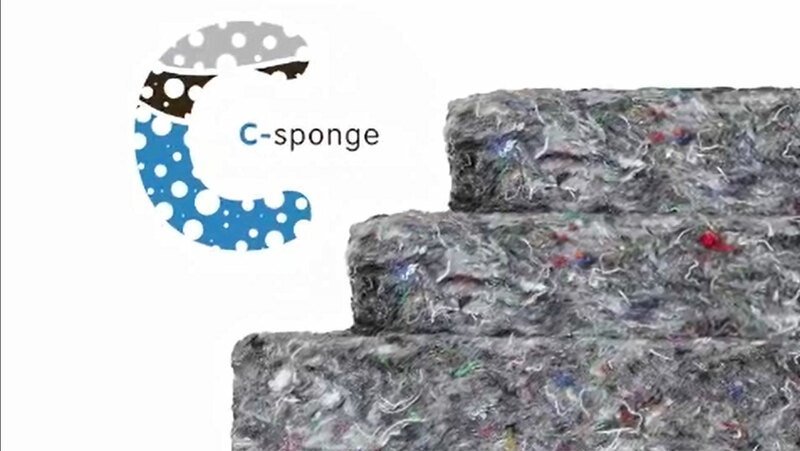 Made from at least 70% renewable and recycled fibers, C-sponge is an innovative fiber mat with oil absorbing properties. C-sponge can absorb over 10x its weight in crude oil very quickly without absorbing water. Plus, oil has the potential to be reclaimed from C-sponge. C-sponge can be applied directly on top of oil on the surface of water. Unlike other sorbent products used to clean up oil, virtually no oil leaks or drips from the C-sponge when it is removed from water. 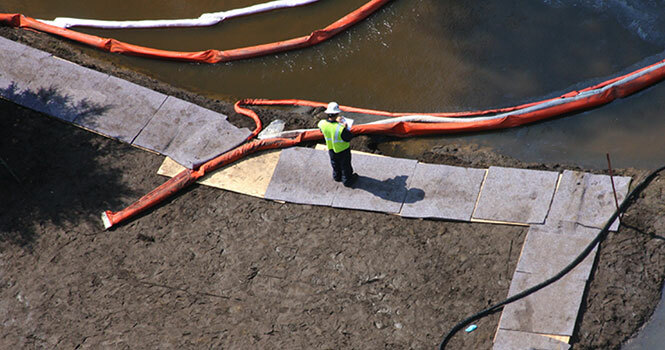 C-sponge can also be used on land and other hard surfaces to prevent the oil from contaminating the soil or staining surfaces. C-sponge is available in either mat or roll form. CMS designs and manufactures additional absorbent products based on specific design requests. Please contact us to discuss your potential product.